At Digital Fabrics we print on cotton fabrics and other natural fabrics using direct to fabric printing technology. In direct digital fabric printing rolls of cotton fabric are printed using large format digital printing machines directly onto fabric. This digital fabric printing method is a quick and easy process. We print your custom fabric no matter how small or large your print run- the minimum order is only a meter! The number of colours within a design or amount of designs does not impact the cost when printing digitally on to cotton. We can print your design with unlimited colours on your choice of fabric. For printing on cotton fabrics we use woven bases such as cotton, canvas, cotton drill, cotton linen, cotton poplin, we also print on beautiful bamboo fabrics. Created from fibres that occur in our natural world, cotton fabrics are very pleasant to wear. They are great to wear as it’s cool and comfortable next to the skin due to their excellent moisture absorption. Natural fabric is suitable for fashion garments, tablecloths, bedding, baby clothes and various craft projects. Our cotton fabrics has a nice handle and feel and are beautiful all around your home and family. 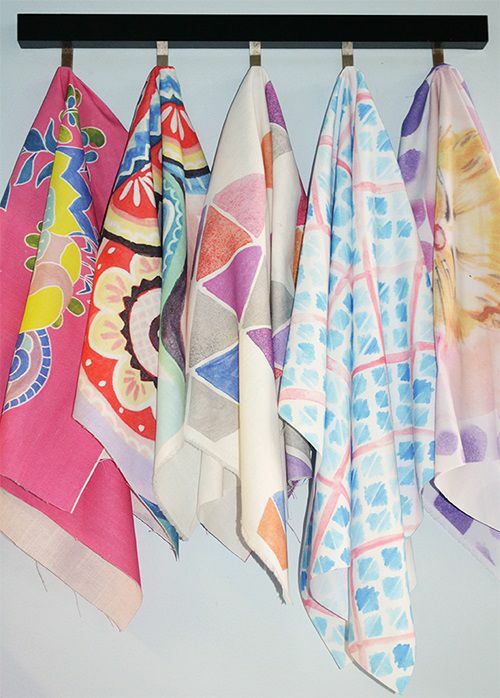 If you want to know more about our cotton fabric printing, contact us below.